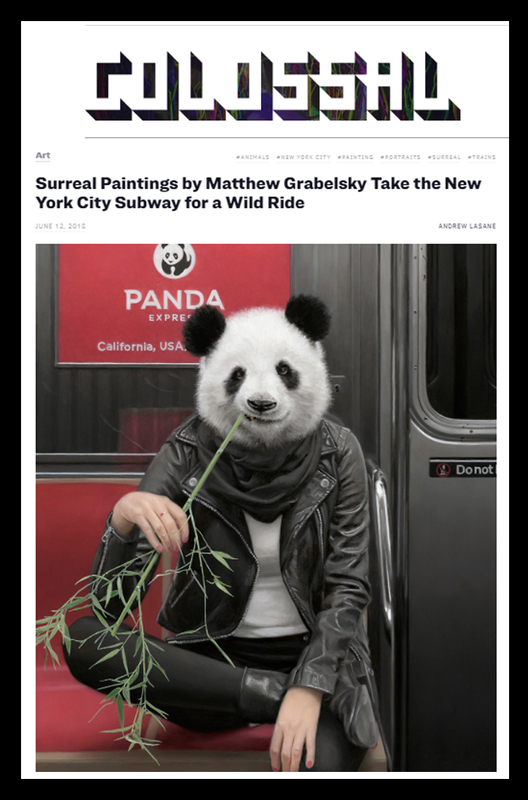 Colossal the art and culture website features Thinkspace Family member Matthew Grabelsky’s in a piece titled, Surreal Paintings by Matthew Grabelsky Take the New York City Subway for a Wild Ride. The article features a collection of Grabelsky’s work with anthropomorphic subway riders, but for LAX / PDX II Grabelsky’s introduces a new direction with his latest piece “55th Street & 7th Avenue” which features a black bear taking to the streets of NY. We’re excited to see Matthew Grabelsky’s world expand as he works towards his solo exhibition at Scope Miami this December. Sign up for our collector list here if you’d like to receive updates in regards to new works from Matthew Grabelsky. 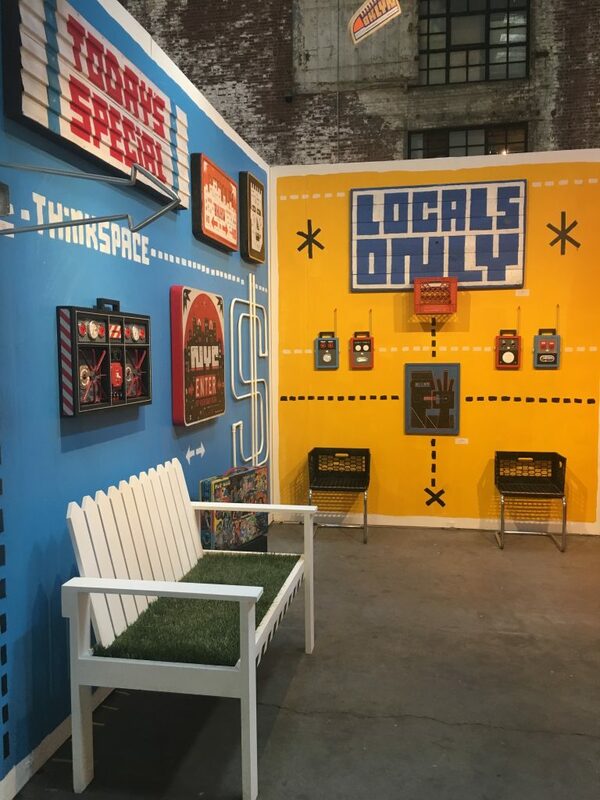 SKEWVILLE, formed in 1996, has been prolific in the street art scene way before it even became a scene. Most known for their silkscreen wooden sneakers that have been tossed over thousands of telephone wires worldwide. The twin brothers have simply taken over our booth at Moniker and we are excited to share it with you all. 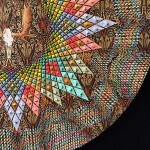 Below is a full catalog of all their new works on view this week in Brooklyn, New York with us. If interested in a piece from SKEWVILLE’s new body of work for Moniker New York, please email contact@thinkspaceprojects.com and be sure to also include your phone number when getting in touch. 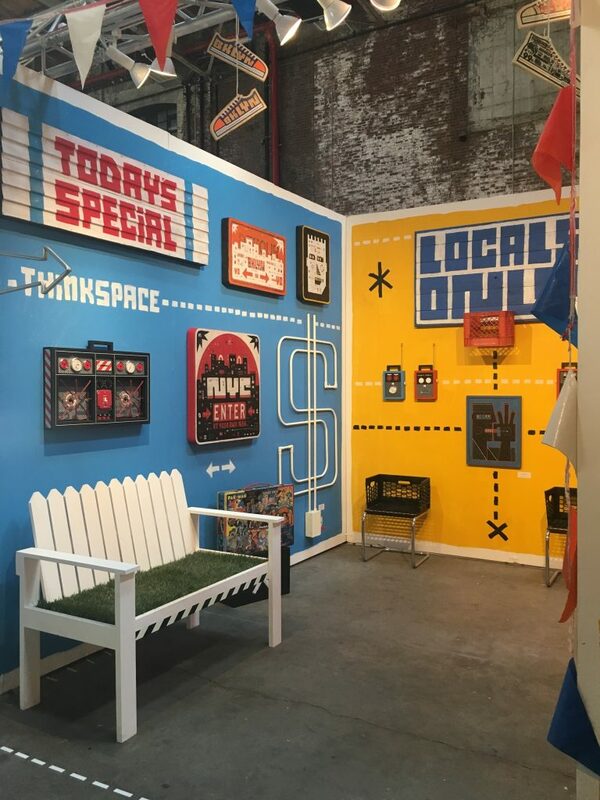 Thinkspace is pleased to be returning to New York City next week for the 16th edition of SCOPE New York which will be returning to its location one block from the Armory Show Piers at Metropolitan West Pavilion. We will be featuring a solo show from Brian M. Viveros along with various works from our Thinkspace Family this coming March. This special presentation of new work is Viveros’ first on the East Coast since 2012. The past year has been a significant one for the artist, following Viveros’ hugely popular and sold out exhibition with the gallery in November 2015, Matador, and the launch of his first art book The Dirtyland; the 216 page, full color monograph surveys 18 years of Viveros’ work, and is the first publication released by Thinkspace Editions. This dedicated project at Scope will offer East Coast and international fans alike a chance to access brand new, never-before-seen works by the artist. The mini-solo show will include phenomenal new paintings and charcoal drawings, some of Viveros’ very best and most accomplished to date. Gorgeously detailed, the saturated paintings continue the use of meticulous patterning, figurative hyperrealism, texture, and prop detail that Viveros had channeled throughout his last show Matador.Alongside these paintings are a series of new charcoal works on paper executed in a much looser and more gestural rendering style.The level of depth and minutiae in the work is greater than ever, as his signature no holds barred vixens haunt from incredibly complete surfaces. With new palettes and contrasting color combinations that include everything from deep plums and teal blues to cobalts and his signature crimsons, Viveros’ Dirtyland continues to stake its claim as an undeniably seductive empire…ruled by smoking hot sovereigns. SCOPE New York’s convenient and well-appointed venue will host 60 international galleries and a focused schedule of special events, performances and talks to complement its new open-plan exhibition format. 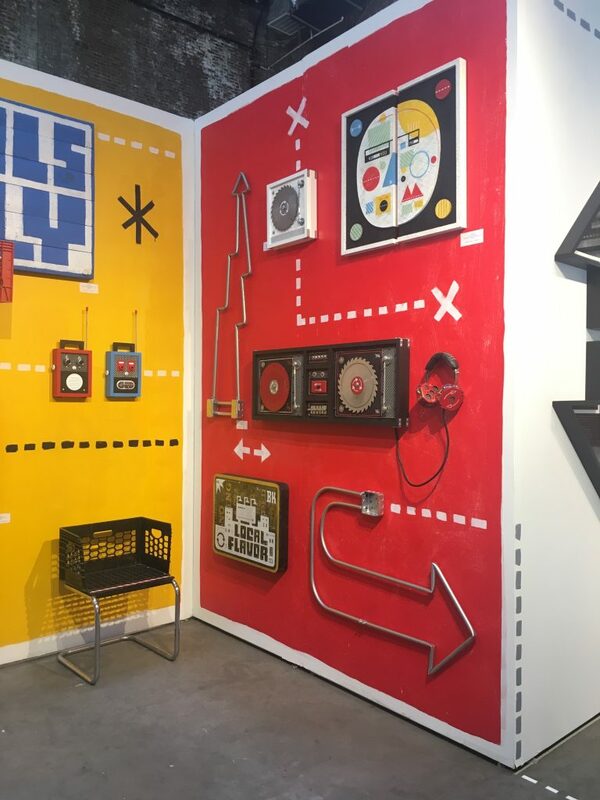 The first fair to run concurrent with The Armory Show, SCOPE New York’s spirit of innovation has consistently forged the way for emerging artists and galleries. Attuned to nuances in the market and itself an influential force in the cultural sphere, SCOPE continues to usher in a new vision of the contemporary art fair. New Yorkers and art enthused tourist have a new art adventure to go on, #REPLYANYC. An on-street collaboration between Ernest Zacharevic and photographer Martha Cooper have the walls of New York covered in new art to discover. “Generations apart, on different sides of the world working in different mediums; both Ernest and Martha strive to capture the same charming whimsy and character of any given moment or place. Ernests recent trip to NYC provided the perfect opportunity to collaborate. Ernest Zacharevic will be showing two pieces with Thinkspace Gallery at SCOPE Miami Beach, December 1-6. We welcome you to stop by the Thinkspace Gallery booth number F03. 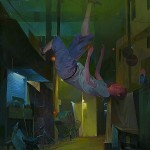 Look for Thinkspace at Booth A3 featuring a solo show from Andrew Hem at Scope New York 2015, international contemporary art show.